Liquor-law reform • Legislation touching on many areas of reform expected late this week. 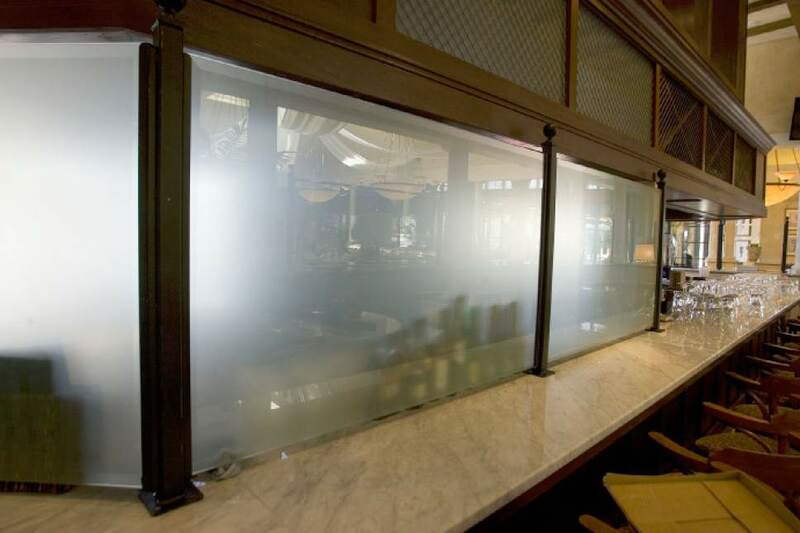 Tribune file photo A frosted glass curtain hides a portion of the bar at Brio Tuscan Grille at Fashion Place Mall. A bill to reform Utah alcohol laws and erase the "Zion Curtain"  the 7-foot-tall wall in restaurants to keep mixing alcoholic drinks out of the view of children  is taking a bit longer than expected to write. House Majority Leader Brad Wilson, R-Kaysville, had expected to release it last week, but said Monday that it has proven to be more complicated than expected  and has grown to about 150 pages because of reforms throughout Utah Code chapters on liquor laws. "We want to get it right," he said, adding it now may come late this week. "Everybody thought there was sort of a kumbaya feeling about this, and that we all generally agreed," he said. He said most lawmakers and stakeholders do in general philosophy. "The trouble is in working out the details," he said. There are still a lot of concerns that we are trying to work through." He added, "I want to get it out soon, and get the process moving" with hearings on it. Wilson said previously that the bill will have many provisions designed to reduce underage drinking and drunken driving. It "will focus on everything from how restaurants operate in terms of verification of age, how they display alcohol, how their servers and operators are trained, what happens in case of a violation," he said. Wilson has said he is still working through the numbers, but expects a 1 or 2 percentage bump to the 86 percent markup now on alcohol sold at state liquor stores to help pay for beefed-up enforcement and training programs in the bill. The bill would retain a requirement that restaurant patrons must verbally state an intent to order food before being served alcohol, he said. Also, 70 percent of a restaurant&apos;s sales must be in food. He also wants to simplify liquor licenses, essentially just having one for bars and one for restaurants. In recent years, legislation to removed the Zion Curtain repeatedly failed after the LDS Church had opposed any changes in liquor laws, saying current laws have worked well. Wilson said he has talked numerous times to church leaders, and believes they will support his bill. A recent Salt Lake Tribune-Hinckley Institute of Politics poll found 73 percent of registered Utah voters oppose the Zion Curtain. Just 22 percent support it. The opposition crosses partisan, gender, even religious lines. A solid 63 percent of self-described "very active" Mormons oppose the Zion Curtain and the numbers go up from there among somewhat active Mormons, those of other faiths and people not identifying a religious affiliation. After Wilson announced plans for the bill as the legislative session began, Senate Majority Whip Stuart Adams and Senate President Wayne Niederhauser voiced concerns about the reform proposals and said current liquor laws are working well. Adams warned that if lawmakers are uncomfortable with the trade-offs, "There&apos;s a high probability that nothing happens."